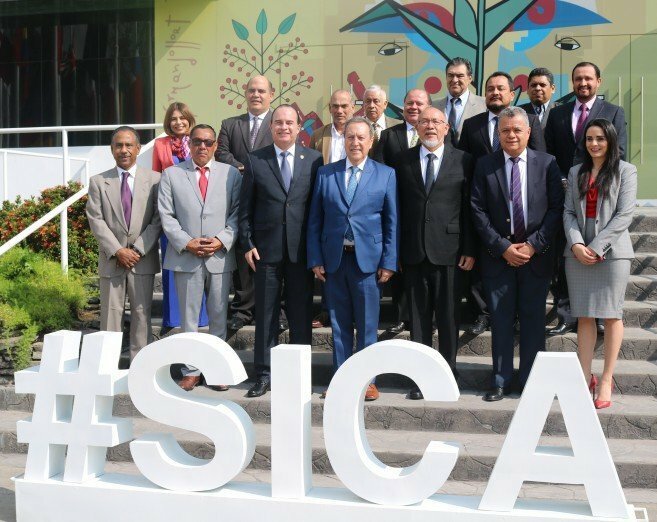 The General Secretariat of the Central American Integration System (SICA) and the Executive Secretariat of the Central American Agricultural Council (SECAC), presented actions to be adopted by all countries of the region to enhance the sustainable, integrated, and inclusive development of coffee cultivation. One action that bears mentioning is a regional strategic plan that will include efforts to manage options for financial support to the coffee sector in SICA’s member countries - Belize, Costa Rica, the Dominican Republic, El Salvador, Guatemala, Honduras, Nicaragua, and Panama. It will also promote development of a joint position among all representatives of SICA member countries that are also members of the International Coffee Organization, in a bid to foster dialogue and concrete actions, as a way of facilitating more equitable access to the benefits of the coffee trade. During the presentation of the strategic plan, Vinicio Cerezo, Secretary General of SICA, referred to the crisis that the region’s coffee sector is experiencing and argued that the economic development of rural families should result in the environmental sustainability of these areas. Cerezo indicated that, “Coffee accounts for 9% of Central American exports, and generates employment for approximately 1,800,000 people. This crisis is affecting mainly small and medium-scale producers; it is no minor matter. Our agriculture sector faces serious challenges, but tackling them together, will make a difference”. SICA’s representative also remarked that, “A joint regional position on this issue will be essential in forging partnerships with third states, thus enabling us to improve conditions in the production and trade of a product that is vital to our national economies”. On the other hand, Orestes Ortez, Minister of Agriculture and Livestock of El Salvador, insisted that action must be taken to address the current variability in climate and emphasized the critical role of the Central American Agricultural Council in tackling climate change. The Inter-American Institute for Cooperation on Agriculture (IICA), the international organization that promotes the well-being and rural development of the Americas, will provide ongoing support and technical assistance for all these initiatives. The plan was presented at SICA’s Regular Meeting of the Council of Ministers of Agriculture, which was attended by José Alpuche, CEO of Belize’s Ministry of Agriculture; Mauricio Guevara, Secretary of Honduras’ Ministry of Agriculture and Livestock; Renato Alvarado, Costa Rica’s Minister of Agriculture and Livestock; Jorge Ulloa, Secretary General of Panama’s Ministry of Agricultural Development; and Mario Méndez, Guatemala’s Minister of Agriculture, Livestock and Food.